In this video, I'm playing my Epiphone EJ-200SCE in a drop D tuning. It's a good tuning for this song as it helps to fill in a bit of space and texture. Other than that, playing this song is primarily about getting the dynamics right. Click Here To Sponsor Me Through Patreon. 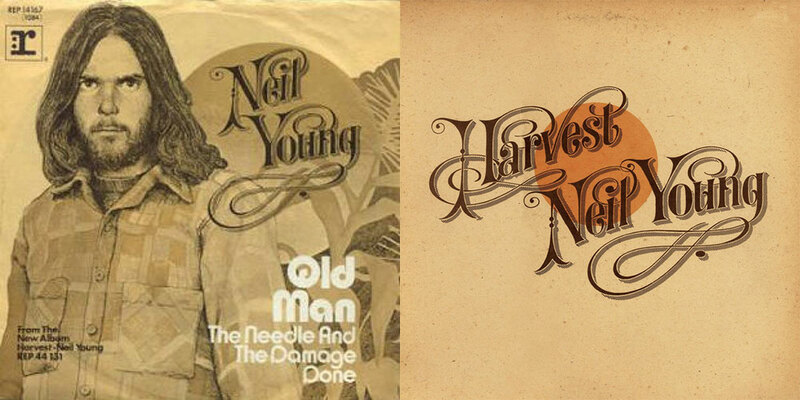 About Neil Young's song "Old Man"
Old Man was released on the Harvest album in 1972. Young had been playing it live for over a year before it was released and it was likely written in 1970. It also appears on the 2007 release Live at Massey Hall 1971; part of Neil's archival releases. On the BBC's Old Grey Whistle Test, recorded on February 23, 1971 and in other performances, Young talks about being inspired by the caretaker of the Broken Arrow Ranch that he'd purchased in 1970. 45s (singles) used to have artwork done for them as well. This is the artwork for Old Man and the Harvest album. Leave a comment in the box below. You can show your support by sharing this article as well.